The Center for Middle Eastern Studies focuses on the region extending from Morocco to Kazakhstan since the rise of Islam. Established in 1965, the CMES aims to assist students in acquiring a firm understanding and professional grade knowledge of the languages and civilizations of the Middle East. The Center, an interdepartmental, interdisciplinary unit, achieves these objectives by helping to plan degree programs for students who intend to use their knowledge of the Middle East in careers in university teaching and research; governmental and non-governmental organizations; business; journalism; and other personal or professional pursuits. 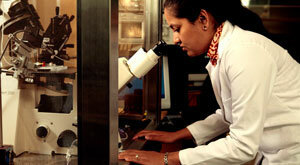 The work of the Center is also closely linked with the programs of other degree-granting bodies of the University. In addition, CMES serves as a forum for the open, responsible, and informed exchange of ideas among University of Chicago students, faculty, staff, and members of the outside community on all issues relating to the areas of its interest.